Still think there might be some value to "the war on drugs"? I challenge you to watch this video and still have some justification for that thought. Think the war on drugs is BS but can't articulate very clearly why? Watch this video. Wonder why inner-city stuff seems predictable and stuck? Wonder what's going on in the "world's most livable city" - Vancouver - where every few days a gang member is killed? How will that end up? Sick of reading stats and hearing platitudes? Watch this video. It's well-presented. Then, you may well decide to watch the second half. "When television history is written," one critic says, "Little else will rival 'The Wire. '"And when historians come to tell the story of America in our time, I'll wager they will not be able to ignore this remarkable and compelling portrayal of life in our cities. - Bill Moyers. For some years I've been donating my time to work on a web site for the organization Education without Borders. I'm doing it for a friend and, just as much, for the cause itself. The project has taken its first form within a school near Cape Town in South Africa - and that's where I was born and raised. Fezeka Senior Secondary School "is the only black high school offering classes in Xhosa, Sotho and Tswana. As a result, the school is bursting at its seams and turns away over 300 students each year. Currently the school has 1,750 students with up to 45 students per class." The Fezeka School Choir are being filmed by Ciel Productions as part of a documentary recording their journey from the Gugulethu Township in South Africa to Salisbury International Arts Festival. Finnish educators believe they get better overall results by concentrating on weaker students rather than by pushing gifted students ahead of everyone else. The idea is that bright students can help average ones without harming their own progress. 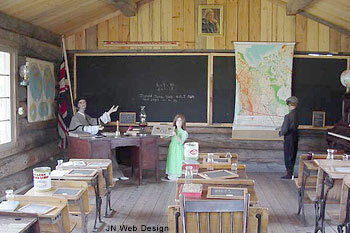 About the only classroom rules are no cellphones, no iPods and no hats. Teachers must hold master's degrees, and the profession is highly competitive: More than 40 people may apply for a single job. Their salaries are similar to those of U.S. teachers, but they generally have more freedom. Finland's high-tax government provides roughly equal per-pupil funding, unlike the disparities between Beverly Hills public schools, for example, and schools in poorer districts. College is free. There is competition for college based on academic specialties - medical school, for instance. But even the best universities don't have the elite status of a Harvard. Taking away the competition of getting into the "right schools" allows Finnish children to enjoy a less-pressured childhood. While many U.S. parents worry about enrolling their toddlers in academically oriented preschools, the Finns don't begin school until age 7, a year later than most U.S. first-graders.
. . . young Finns do much more on their own. At lunch, they pick out their own meals, which all schools give free, and carry the trays to lunch tables. There is no Internet filter in the school library. They can walk in their socks during class, but at home even the very young are expected to lace up their own skates or put on their own skis. U.S. culture is an easy target - it's failings are so apparent. Paradoxically, it can also be a hard target because, aside from materialism, there is so little of it. However, because it is so attractive to so many in the USA and beyond, it's easy to get numbed to it. The US education system, by most accounts, is poor and getting worse. There is an understandable reluctance in such a a corporate-dominated country to spend more on education. How bad is it? Mark Morford of the San Francisco Chronicle reports on the experience and perspective of "a longtime Oakland high school teacher". Read the rest of this tale, alarming for those living with the system and seriously cautionary for those of us heading in that direction. Seeing the panic among parents when there is a teachers' strike, one can be forgiven for thinking that the most important function of school - at least to adults - is as a "baby"-sitting service - a place to park the kids while mom and dad (usually both if they're still around) are off trying to earn enough to pay for everything we're supposed to have these days. I have a long-standing interest in education and a long-standing skepticism about the value of conventional schooling. I think I come by this reasonably honestly, having done very well at school and gone on to a university degree followed by an education diploma. It's easy to find fault with our school system as a whole but I don't say much because talk is cheap and many fine people are doing wonderful work with educating our children - in my opinion, largely in spite of the system. The adolescent brain requires 8-9 hours of sleep and works better later in the day. Some Australian schools have changed their hours to accommodate this and with good results. e.g. reduction in truancy and depression. Boys benefit from having their own "territory" - a little space in the school that's theirs. The most successful setup is a co-ed school with single-gender classes. Given all the changes since the Victorian era, has our approach to schooling kept pace? If you're groggy from all the preaching about "third world poverty" and what you can do; what your government can do - and perhaps even more grinding, the guilt-driven statements about what you and we should do . . . but, through all of this, you still care, then this presentation is for you. Facts, perspective, solutions presented graphically (probably the most effective public presentation of graphs I've seen), dramatically and entertainingly. Hans Rosling is a doctor and researcher but I doubt if you'd feel impelled to check his credentials. His kind of authority, much of it gained in 20 years of working directly in various parts of Africa, cannot be faked. Surveys show that 77% of all persons under 35 defining themselves as "liberals" say The Daily Show with Jon Stewart is their primary news source. Which probably makes Jon Stewart happy as hell but doesn't bode well for what little remains of our republic.
. . . the researchers determined that self-esteem was a key factor in a child's level of materialism. Children with lower self-esteem valued possessions significantly more than children with higher self-esteem. Moreover, the heightened materialistic values of early adolescents were directly related to "a severe drop in self-esteem that occurs around 12-13 years of age." The researchers were able to reduce materialism in the children by helping them develop self-esteem.